It’s here—PieceWork’s 10th Annual Lace Issue! In this, one of our most popular issues, several of the articles and projects celebrate lace for that most special of occasions, the wedding. Bridal lace’s enchanting allure endures throughout time. There is no better demonstration of this than the Green family’s lace wedding veil, which has been worn by 24 brides! The story of the Green family’s lace wedding veil begins when Mary Elizabeth Mulligan (August 31, 1835–March 8, 1911) selected a point d’Angleterre lace veil to wear for her wedding to Robert Stockton Green (March 25, 1831–May 7, 1895). The ceremony took place on October 1, 1857, but unfortunately, there is no surviving photograph of the bride and groom on their special day. All that remains from their nuptials is the lace wedding veil. The Green family’s wedding veil. Point d’Angleterre lace. Linen thread. 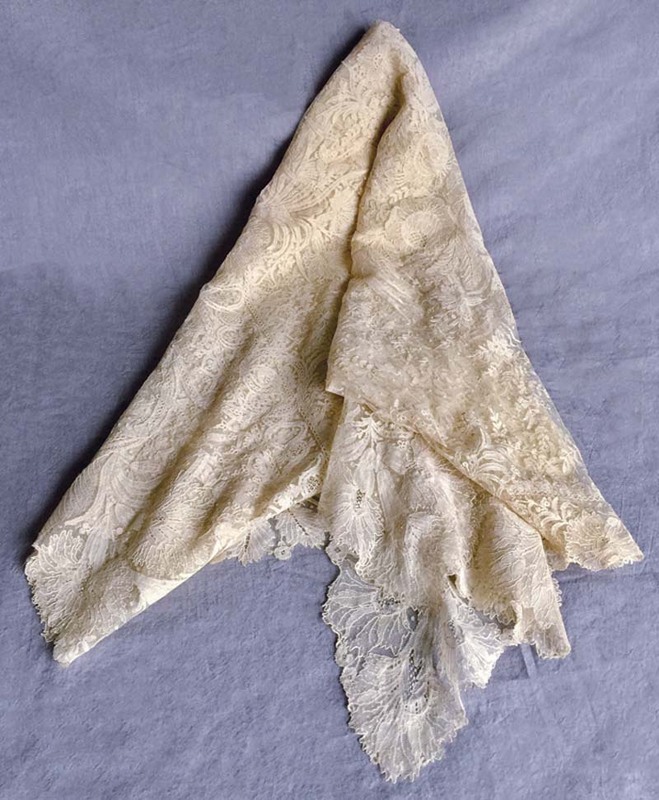 The veil was originally worn by Mary Elizabeth Mulligan Green for her October 1, 1857, wedding. 3.8 ounces (107.7 g). Photograph by Catherine S. Vodrey. Detail of the Green family’s wedding veil. Point d’Angleterre lace. Linen thread. The veil was originally worn by Mary Elizabeth Mulligan Green for her October 1, 1857, wedding. 3.8 ounces (107.7 g). Photograph by Catherine S. Vodrey. Little did Mary know that over the next one hundred and fifty years, brides wearing her veil would become a family tradition. In PieceWork’s May/June 2017 issue, some of the Green brides share their stories of their weddings and wearing this exquisite veil. 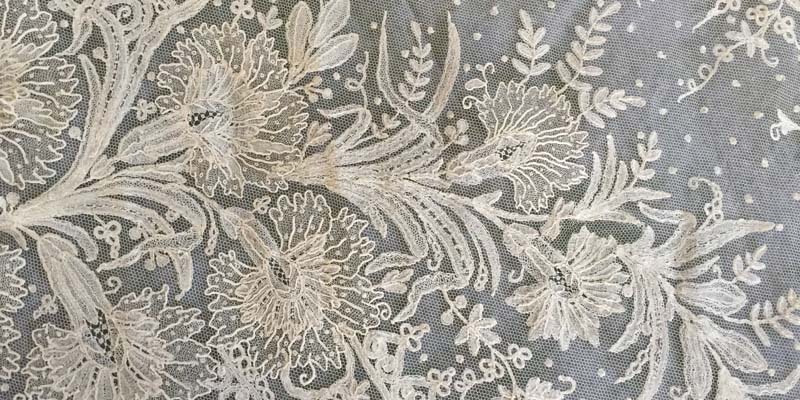 In her 1953 book, Lace and Lace Making, noted lace historian Marian Powys endorses the use of heirloom lace, “There is a general idea that pearls are more alive and glowing when worn and enjoyed than when put away in jewel cases and dark places. The same applies to lace. Anything would rather suffer from wear and tear than from gradual disintegration in the dark.” We couldn’t agree more! 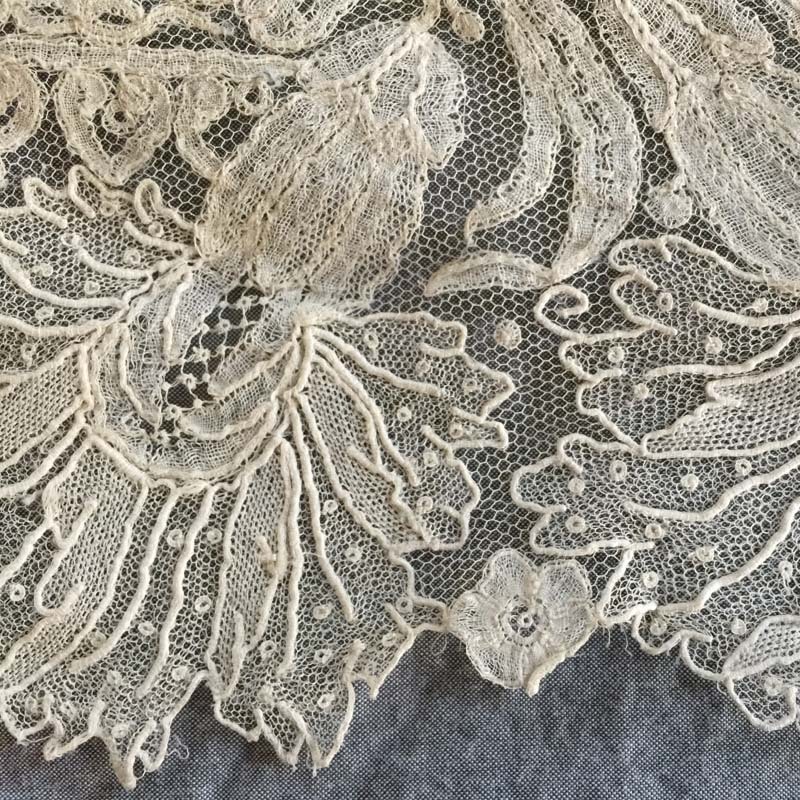 Featured Image: Detail of the Green family’s wedding veil. Point d’Angleterre lace. Linen thread. The veil was originally worn by Mary Elizabeth Mulligan Green for her October 1, 1857, wedding. 3.8 ounces (107.7 g). Photograph by Catherine S. Vodrey. Discover more about the history of lace with PieceWork’s annual Lace issues!